In City of Seattle v. Evans, the WA Supreme Court ruled that Article I, section 24 of the Washington Constitution and the Second Amendment to the United States Constitution’s protection of the right to bear “arms” does not extend to a paring knife. Seattle Police Officer Michael Conners stopped a vehicle driven by Wayne Anthony Evans for speeding in the Central District of Seattle. As Conners approached Evans’s vehicle, he observed furtive movements from Evans and his passenger, and he smelled marijuana. Conners directed Evans to exit the vehicle and asked him whether he had any weapons. Evans responded that there was a knife in his pocket. Conners instructed Evans not to reach for the knife; Conners then reached into Evans’s front right pocket, retrieved a fixed-blade knife with a black handle, and placed Evans under arrest for possession of a fixed-blade knife. The jury returned a general verdict of guilty, and Evans’s conviction was affirmed by the King County Superior Court and the Court of Appeals.
. . . we hold that not all knives are constitutionally protected arms and that Evans does not demonstrate that his paring knife is an “arm” as defined under our state or federal constitution. Therefore, Evans cannot establish that SMC 12A.14.080(B) is unconstitutional as applied to him and we reject his as-applied challenge. With that, the WA Supreme Court affirmed the Court of Appeals and held that Evans’s paring knife was not an arm entitled to constitutional protection. Therefore, Evans cannot establish that SMC 12A.14.080 is unconstitutional as applied to him. My opinion? I hate to say, but I somewhat agree. There’s a huge difference between a gun and a knife. The right to bear arms was made to protect guns, not knives. Period. Marijuana Legalization is Making Mexican Drug Cartels Poorer. The loosening of marijuana laws across much of the United States has increased competition from growers north of the border, apparently enough to drive down prices paid to Mexican farmers. Small-scale growers here in the state of Sinaloa, one of the country’s biggest production areas, said that over the last four years the amount they receive per kilogram has fallen from $100 to $30. The price decline appears to have led to reduced marijuana production in Mexico and a drop in trafficking to the U.S., according to officials on both sides of the border and available data. This was welcome news. One of the major arguments for legal pot is that it will weaken drug cartels, cutting off a major source of revenue and inhibiting their ability to carry out violent acts — from mass murders to beheadings to extortion — around the world. And cannabis used to make up a significant chunk of cartels’ drug export revenue: as much as 20 to 30 percent, according to previous estimates from the Mexican Institute of Competitiveness (2012) and the RAND Corporation (2010). Will this be enough to completely eliminate drug cartels? Certainly not. These groups deal in far more than pot, including extortion and other drugs like cocaine and heroin. Still, it will hurt. As the numbers above suggest, marijuana used to be a big source of drug cartels’ revenue, and that’s slowly but surely going away. It’s still possible that legalization in America could produce downsides in the U.S., such as more cannabis abuse. But it’s a potentially huge win for Mexico and other Latin American countries. Ignition Interlock Devices Are Cash Cows for States. According to news released from the Blow & Drive Interlock Corporation (BDIC) The Alcohol Ignition Interlock Industry is experiencing tremendous growth as more and more states continue to pass laws requiring Ignition Interlock Devices for DUI/DWI offenders. The Centers for Disease Control and Prevention (CDC) reports that requiring or highly incentivizing interlocks for all convicted drunken drivers reduces drunken driving recidivism by 67 percent. The CDC recommends ignition interlocks for everyone convicted of DWI, even for first offenders. Mothers Against Drunk Driving (MADD) Continues to Push for Tougher DUI Laws. In 2006, there were only 100,000 interlocks installed in the United States. As of July 2013, there were nearly 305,000 interlocks in use. Texas: Gov. Greg Abbott signed House Bill 2246 into law in June 2015, allowing those convicted of DWI with blood alcohol content less than 0.15 percent to be able to drive as long as they have an ignition interlock system installed in their car. New Hampshire: After Jan. 1st 2016, anyone convicted in New Hampshire for a first offense of driving while intoxicated can petition a judge for a limited driver’s license that will allow them to drive to work, school or medical appointments, while their license is suspended, the new law comes with a host of restrictions – including installation of an alcohol-detecting automotive interlock device. Illinois: New Ignition Interlock Law goes into effect January 1st, 2016, requiring anyone convicted of two or more DUIs to install a Breath Alcohol Ignition Interlock Device on their vehicles for 5 years. South Carolina: Governor signed Emma’s Law, which requires all offenders, including first-time offenders, with a blood alcohol concentration (BAC) of .15 or greater mandated installation of an ignition interlock device. Pennsylvania: Senate unanimously approved Senate Bill 290, which would require all repeat convicted drunk drivers as well as first-time offenders with a blood-alcohol concentration of .10 or above to use the alcohol ignition interlock devices. Oregon: House Bill 2660 Provides court discretion to order person participating in driving while under influence of intoxicants a diversion agreement to install an ignition interlock device if person submitted to chemical test of person’s breath, blood or urine and test disclosed blood alcohol content below 0.08 percent by weight. 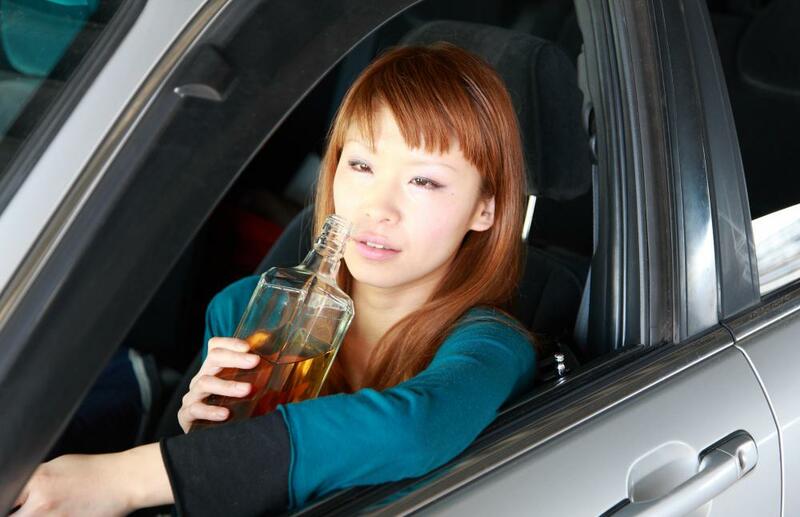 Washington: House Bill 1276 includes many provisions to deal with impaired driving. Ohio: Lawmakers introduced a bill, called Annie’s Law, calling for ignition interlocks to be installed on vehicles if the driver has been convicted two or more times for drunk driving. Indiana: Lawmakers plan to discuss the problem of repeat drunk drivers this legislative session, including a bill that would improve the ignition interlock system in Indiana. Maryland: Governor Larry Hogan is trying to push through one of his latest initiatives, which would require drivers arrested on drunk-driving charges to install an ignition interlock device inside their vehicle. MADD will continue to push for stricter DUI Laws, and they will continue to Ask More States to pass All-Offender Ignition Interlock Legislation in an effort to keep the roads safe for sober motorists. From only one state requiring interlocks in 2006 today twenty‐six states require or highly incentivize the use of ignition interlocks for every convicted offender and as a result they have reduced drunk driving deaths by 24% overall.